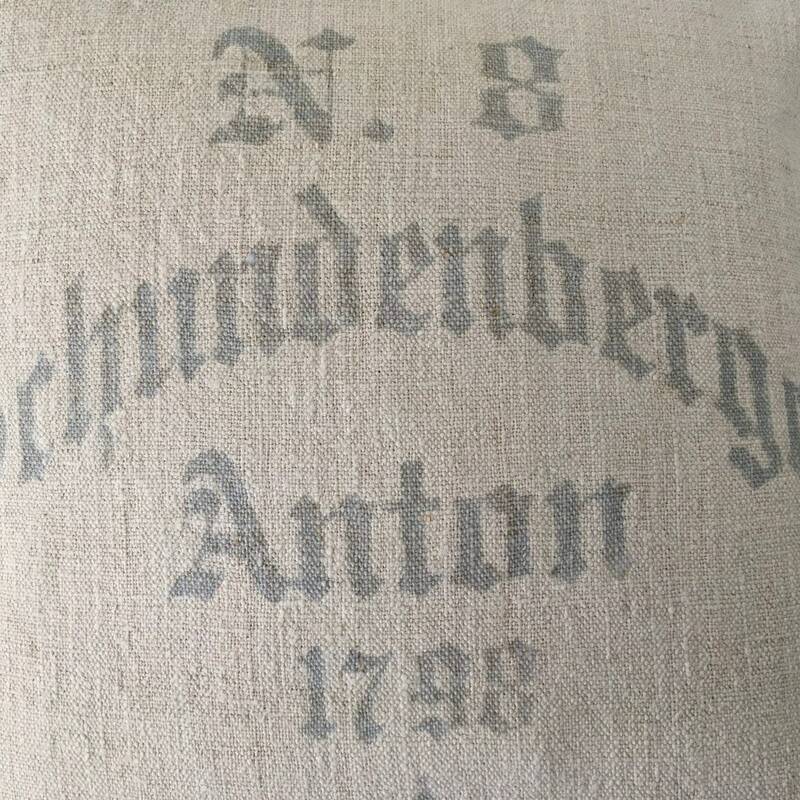 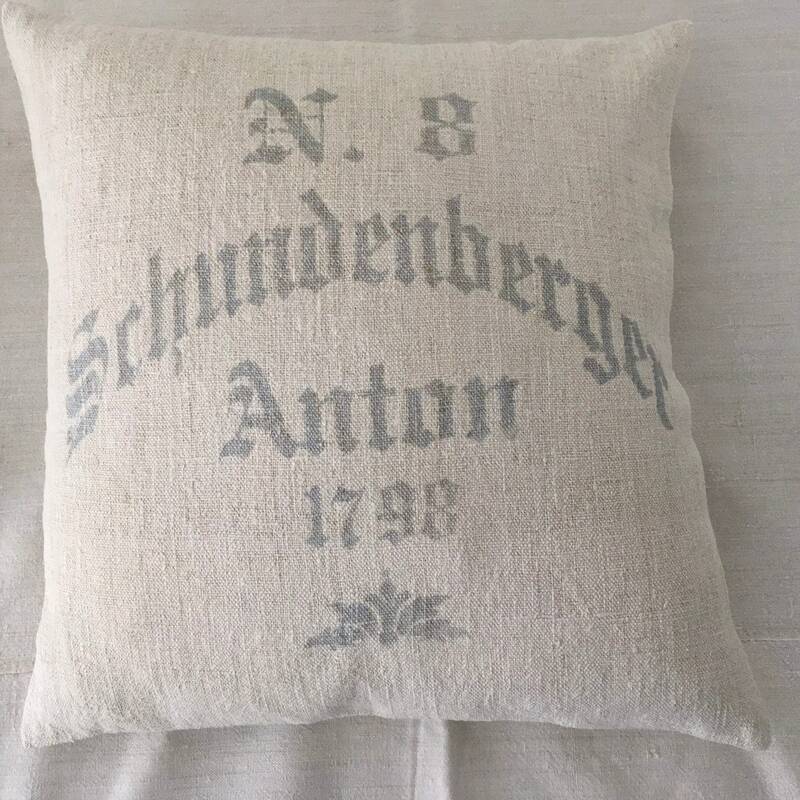 It has No 8 Schundenburger Anton 1798 screen printed in light blue grey on the front and mother of pearl buttons on the back. 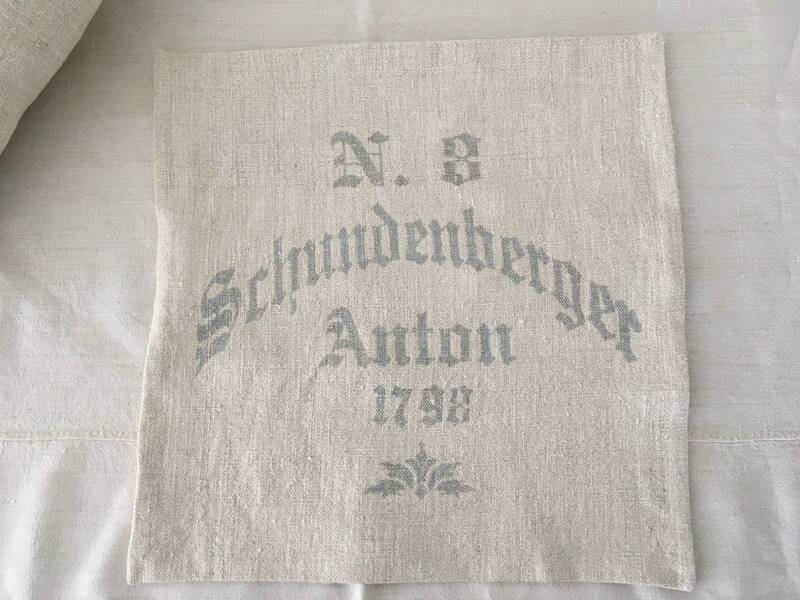 This listing is for the COVER ONLY, it will take a 18" x 18" 46 cms x 46cms cushion pad. 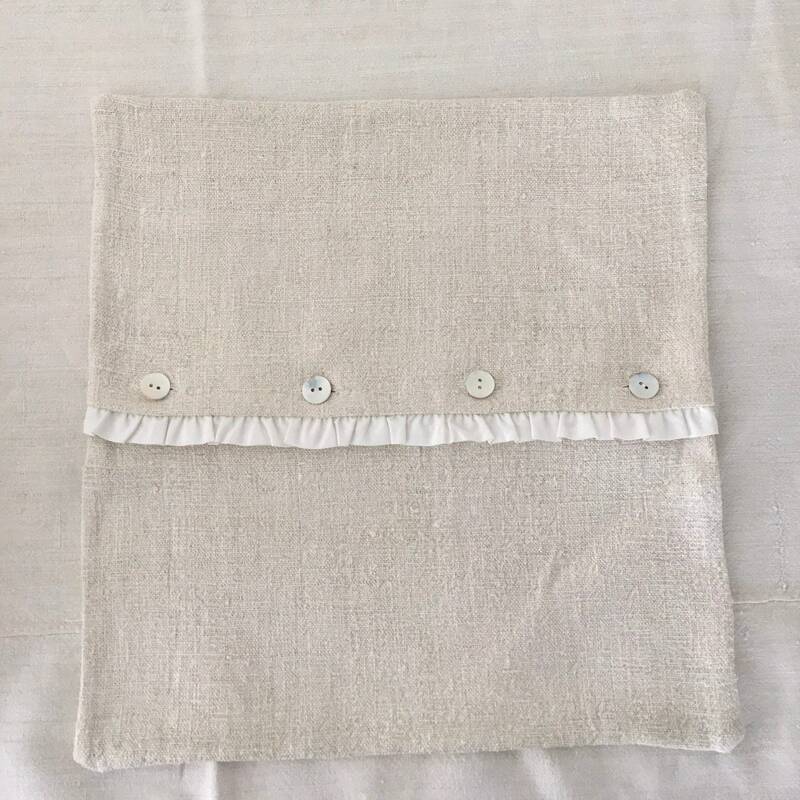 The cover is washable. 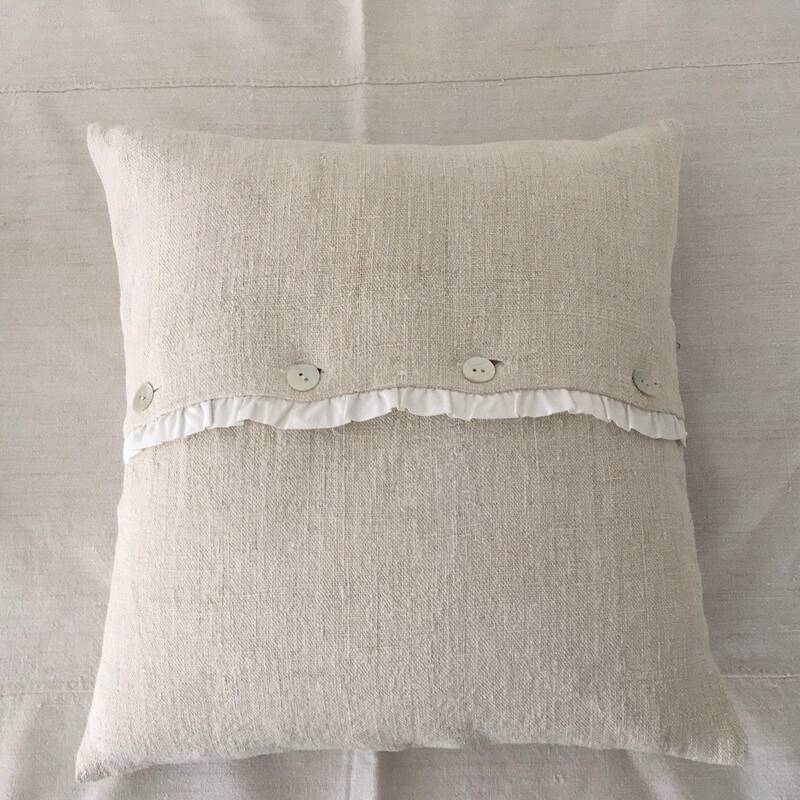 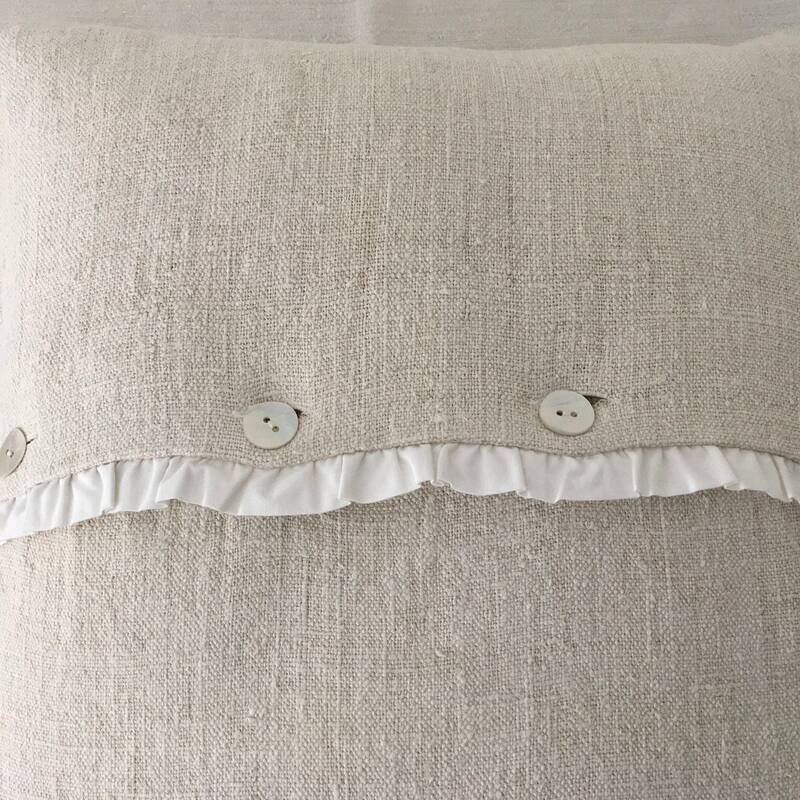 As the natural color of the linen varies, no piece is the same the colour of this pillow cover may vary slightly from the photos.